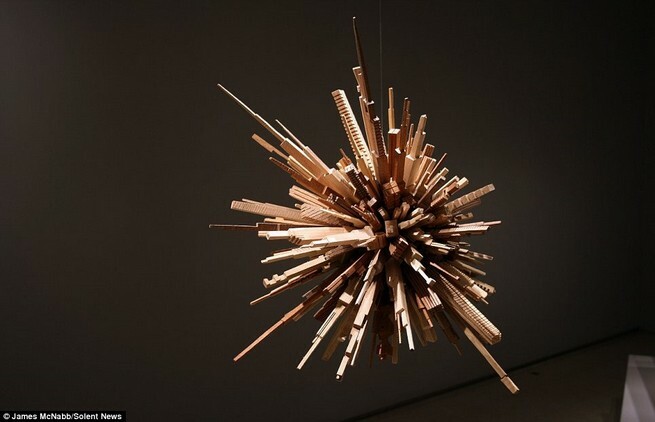 These amazing art pieces were made of what most people see as not very useful material: scrap wood. 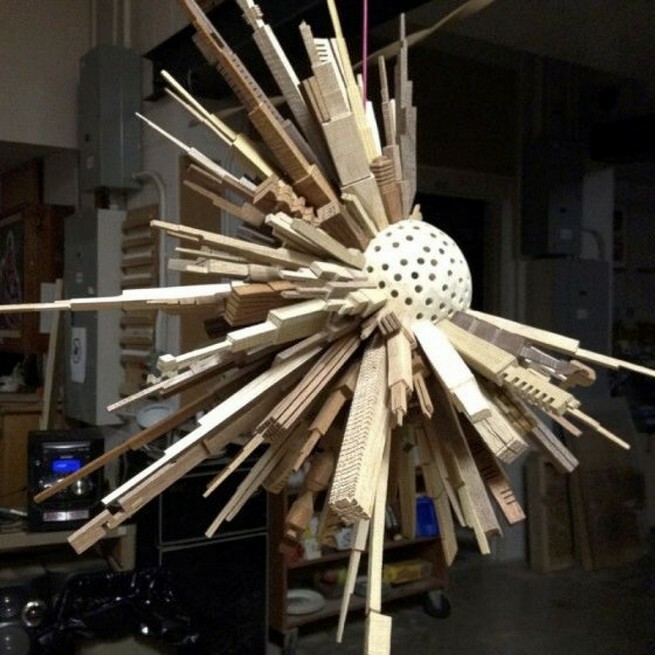 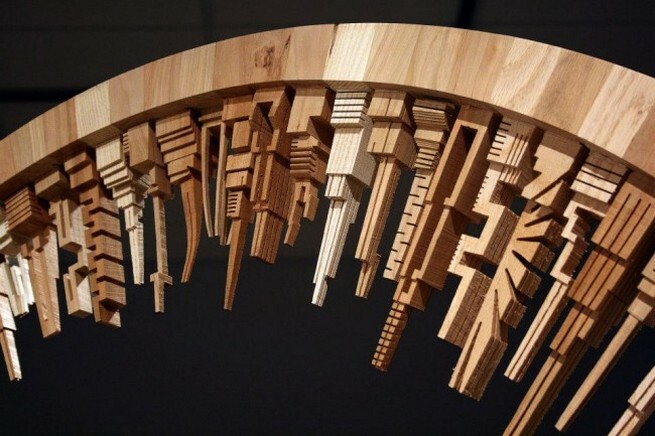 The Philadelphia-based modern artist JAMES MCNABB has carved thousands of pieces of scrap wood and carefully placed them together to form a vast city skyline creating a modern sculpture. 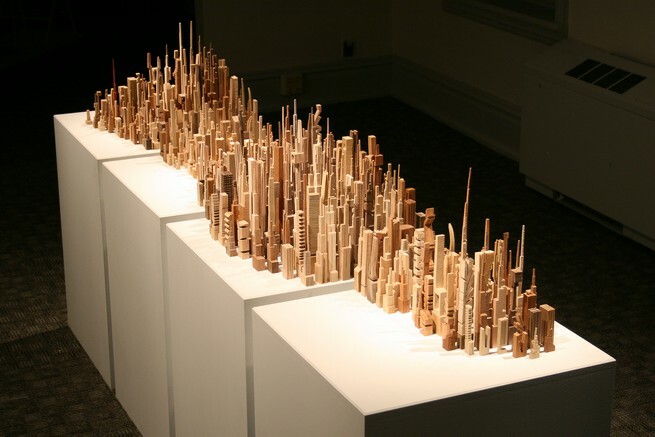 The wooden skyscrapers, made in different shapes and sizes, look remarkably like the Manhattan skyline in New York City. 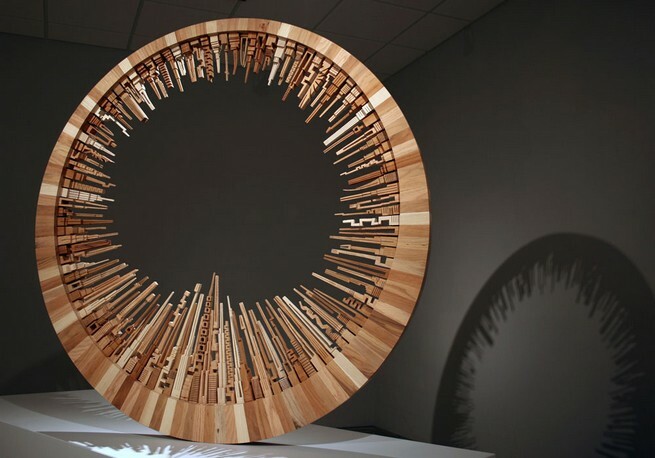 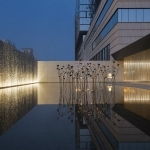 The collection, totals a staggering five thousand individual buildings also includes a huge ‘city wheel’ – which is almost five feet high. 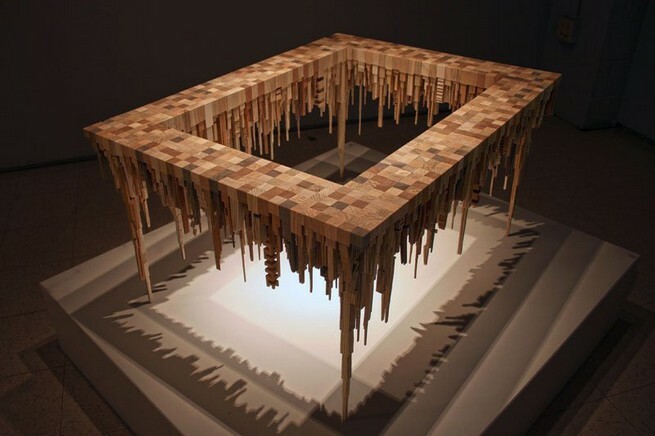 And the contemporary artist explained how the idea came about.